This book explores the political and legal institutions necessary for a democratic socialism in advanced industrial societies. 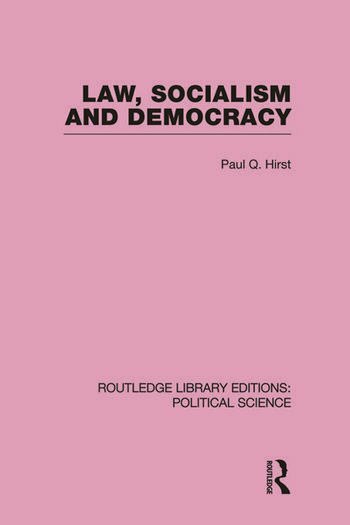 It argues that a democratic socialist society needs a firm framework of public law, and a formal constitution. Populist conceptions of direct democracy and informal justice are argued to be inadequate as the primary means of democratic control in a complex society; likewise Marxist views of the "withering away of the state" are challenged as utopian. The book maintains that radical reforms in political institutions are necessary in order to effect social change.